Today I received an email from Don Handfield a screenwriter, filmmaker, producer, and comic book creator. Handfield is the co-creator of Knightfall, Season 2 of which just premiered on History Channel and he also produced "The Founder" that stars Michael Keaton. Handlefield's first comic The Rift was optioned by Steven Spielberg/Amblin and shot as one of the episodes of the "Amazing Stories" reboot on Apple TV+. Handfield's proudest accomplishment by far is as a parent. He doesn't think there is enough family-friendly entertainment in the world, which is why he partnered with his good friend and fellow screenwriter turned parent Joshua Malkin (Cabin Fever 2) to create "UNIKORN." 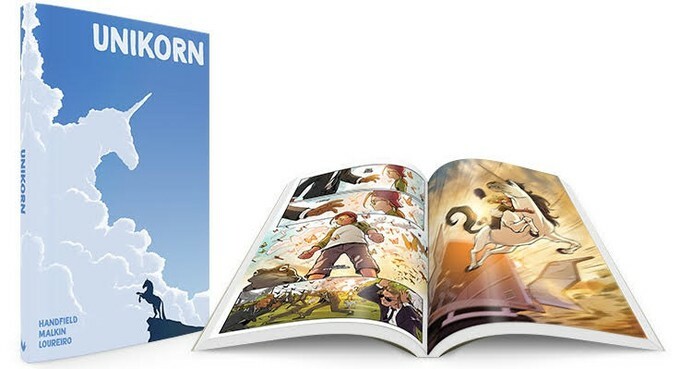 "UNIKORN" is a family-friendly graphic novel about a little girl named Maeve who inherits an old horse with a strange bump on its forehead which makes her believe it's a Unicorn. A 'Unikorn' (with a K) is a unicorn who has had its horn removed to keep it safe from those who would harm it -- much like conservationists today remove the horns from rhinos to protect them from poachers. 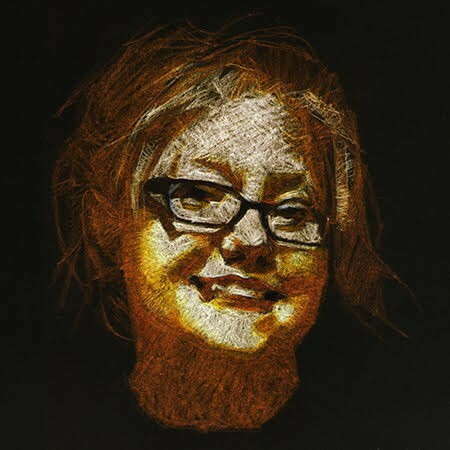 "UNIKORN" also addresses some of the challenging themes that Handfield and Malkin's families have been processing in recent years -- namely losing parents and loved ones. This book is Handfield and Malkin's way of shedding light in the darkness and reminding young and old alike that you never have to let go of the ones you love, and you never have to stop believing in magic, no matter how old you get. Click this link to see and support their Kickstarter https://bit.ly/2FBOVQD! What do all of you comic crazies out there in cyber-ville think of Handfield and Malkin's "UNIKORN?"